Smart Sync and Paper are coming your way. Dropbox has recently announced ‘significant product updates’ to two of its features – Smart Sync (some of you might know it as Dropbox Infinite), and Paper. The company said the introduction of Smart Sync and Paper will boost team productivity and improve collaborative processes, end-to-end. First up is the Smart Sync. Dropbox calls it an ‘industry first’, cross-platform, on-demand cloud storage solution. It offers intuitive storage, allowing users to sync all the content from their computers to their Dropbox accounts. 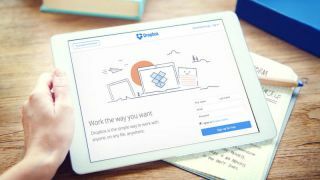 Together with Dropbox team folders, the company wants to become a ‘centrally manageable, secure hub for teams to work together’. Smart Sync is available to Dropbox Business teams in early access starting today, from this link. Dropbox Paper, on the other hand, is dubbed ‘a canvas for creative ideas’. Paper users can now add due dates and assign owners to different tasks, improving on project and task management. On top of it all, it says it now offers eleven times faster search capabilities across documents and folders. Paper is available for free to all Dropbox users at dropbox.com/paper. Updates for Dropbox Paper on two of the world’s most popular mobile platforms, iOS and Android, will also be available ‘in the coming months’. It will enable mobile offline functionality, as well as localisation in 201 languages.